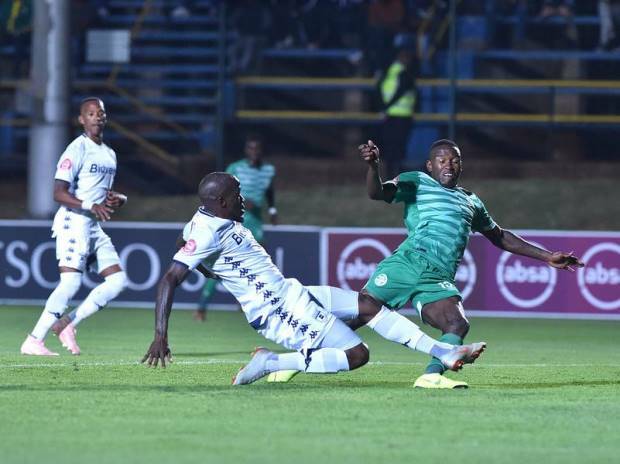 Bloemfontein Celtic host Bidvest Wits in a Absa Premiership match on Friday night, a fixture both sides will be desperate to win. Celtic are in eighth place on the log, just two points ahead of Highlands Park and with their Top Eight finish hanging by a thread. A defeat could see them drop as low as 10th place and in danger of finishing outside of the post-season qualification places. “For them to be sitting in number one and I’m at number eight is not sitting well with me. I wish I could have taken all three [points] and then I could have been in position six, which would ease the pressure a bit. But we’ll keep on fighting. With seven games to go, the pressure is on,” Celtic coach Lehlohonolo Seema said after last week’s draw with Orlando Pirates. Wits, meanwhile, find themselves in fourth place, five points behind league leaders Mamelodi Sundowns but with an outside chance of regaining the title they lost to the Brazilians last season. “Look, two or three teams have a better chance but some are still gonna face each other and that will give others an opportunity,” Wits coach Gavin Hunt told the media. If The Clever Boys are to mount a late charge at the PSL title they would have to improve their recent form drastically. Hunt’s side have managed only two points in their last five games, and last won a game at the start of February against Maritzburg United. Phunya Sele Sele, meanwhile, are in a good moment after drawing their last two matches, against away to both Pirates and Mamelodi Sundowns. Kick-off is at 20:00 at the Dr Molemela Stadium.